I believe the classification of gaming addiction as a disorder has been a long time coming, and it’s becoming a more prominent issue as children get electronic devices earlier in life. Nearly 40 per cent of children under the age of two used a mobile device in 2013, a jump from 10 per cent in 2011, according to a study done by the California-based non-profit organization Common Sense Media. I’m astonished by the amount of time children under the age of 10, and sometimes as young as five, spend on tablets or phones. Kids seem captivated by their screens. In my experience, millennials usually received their first phones—flip phones used only for texting, calling and sometimes playing Snake—at about 10 years old and smartphones much later in their teens. However, according to the online tech news outlet TechCrunch, on average, kids these days are given their first smartphones at the age of 10. The percentage of infants to eight-year-olds who have used mobile devices nearly doubled from 38 per cent in 2011 to 72 per cent in 2013, according to Common Sense Media. But enough about phones; let’s get back to video games. A Kaiser Family Foundation study conducted in 2009 found that children in the United States between the ages of eight and 10 spent an average of eight hours per day using electronic devices, which is longer than the time they spend in school. In addition to consuming so much of children’s time, there are more sinister aspects to gaming, including negative physical and psychological effects. Playing video games for too long can cause migraines and the person might forget to get up, eat and drink, and sometimes even sleep. Violent action games such as Grand Theft Auto and Call of Duty were proven to have a negative impact on the hippocampus in the brain, causing lack of orientation and loss of memory, as well as psychiatric illnesses such as depression and potentially Alzheimer’s disease, according to Global News. The way I see it, the fact that playing video games can lead to serious health conditions is an indicator of how grave the issue is. In my opinion, young gamers are too quick to dismiss how big of an impact videogames can have on their lives. Therefore, gamers tend to deny the fact that they can’t stop playing, which only makes matters worse. I believe people tend to be scared of using the term “mental illness,” assuming it is a sign of weakness. Frankly, it isn’t. Though people might not want to admit how real the problem is, I think the use of this powerful term highlights the importance of the matter. 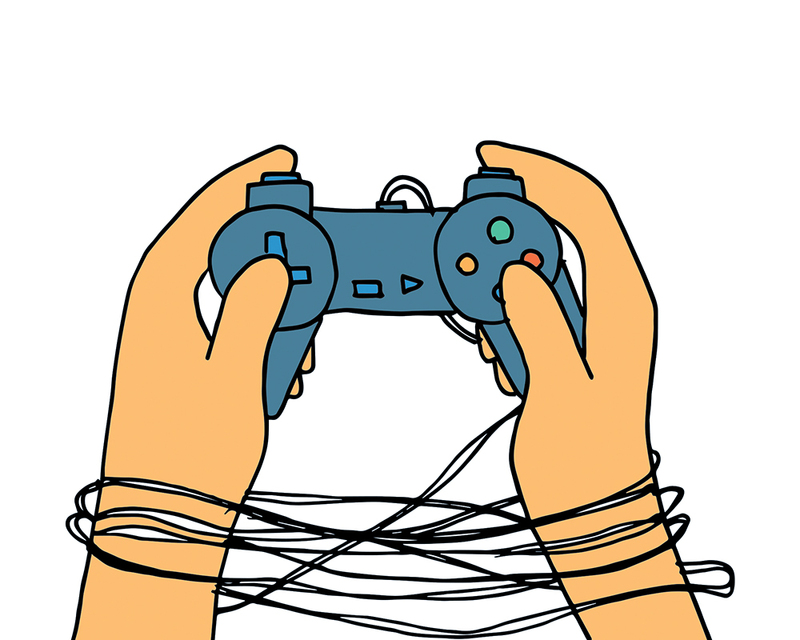 It points to the fact that adults as well as children should take gaming addiction as seriously as any other illness. But do not despair. As long as they’re played in moderation, video games have the potential to expand certain brain capacities, such as perception, attention and reaction time, according to Global News. As such, I believe it’s important to remember that there is a difference between gaming enthusiasts and addicts. The key is for players to remember there is a life outside of video games, to take a step back and prevent isolation. It’s also important to remember that seeking help isn’t a sign of weakness. If someone has trouble putting down the controller and engaging with the world, family and professionals are there to help. What do orange cones mean to you?